RUSH: You heard the latest from Rudy Giuliani? 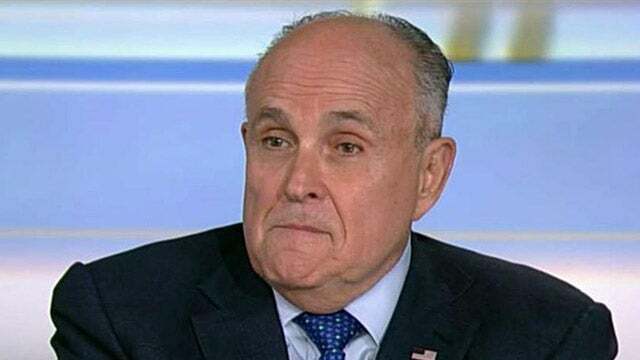 Rudy Giuliani says that there is no way President Trump is gonna sit down and have an interview with Mueller until Mueller provides information on the informant in the Trump campaign. Now, you know Mueller is desperate to talk to Trump. We know that to be true, whether it’s reported or not. And we’re told that Trump really wants to talk to Mueller, which everybody thinks would be a big mistake. But Rudy’s out there saying, “Yeah, okay. Ain’t gonna happen until Mueller provides us information on this informant and what they know about what was going on in our campaign.” Which is very wise. Very smart. Make Mueller responsible for information on the spy. Trump says, “Wait a minute. I’m not answering anything else until you tell me about the informant you say is in my campaign and that you put there.” That’s Rudy’s idea, it would happen before the interview with Mueller. But you make Mueller responsible for the information on the spy, and if the Mueller team balks, “We’re not gonna accept those terms,” then Trump can say then all you’re doing is PR for your abuse of power and so forth.” But, you know, make Mueller admit what’s going on in there as a precondition to doing the talk. And then if the talk doesn’t happen, make it Mueller’s fault. We’ll see how that pans out. But I like the strategic thinking.